What Do People Really Think About Valentine’s Day? 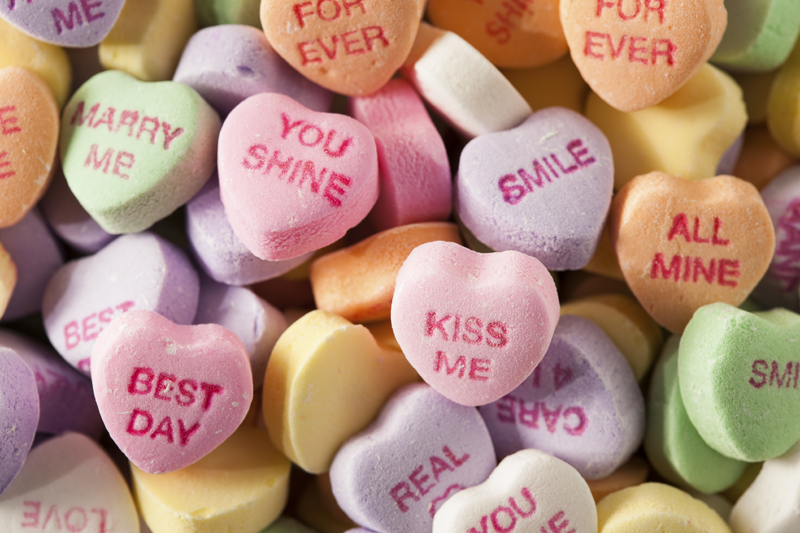 In honor of Valentine’s Day, several DePaul faculty members discuss the holiday’s cultural implications and historical context. James Mourey, an assistant professor of marketing and director of the Modern Marketing Lab in the Driehaus College of Business, recently surveyed 1,000 individuals on their Valentine’s Day spending habits, preferred gifts and affinity for the holiday. Elementary school is an amazing time in life. Naptime was mandatory; playground recess deliberately interrupted your school day; and holiday parties meant cookies, punch, cupcakes and paper valentines from everyone in your class! My, how adulthood changes everything. Although Valentine’s Day has been around in some form for more than 1,000 years, it is only within the past 200 years that written expressions of love have become a staple of Cupid’s favorite holiday. In spite of this, Valentine’s Day is often criticized as being a “Hallmark holiday,” a commercially designed day that serves the financial interests of businesses more than the romantic interests of individuals. People generally have neutral-to-positive attitudes toward the holiday, with women having significantly more positive emotions toward the day than men. Not surprisingly, people in relationships like Valentine’s Day more than single people do. Men plan to spend more money on others than women plan to spend on others for Valentine’s Day; amusingly enough, men think women will spend just as much on them, but women expect men to spend more on them than they will spend on men. Everyone believes other people are spending more on Valentine’s Day than they are spending; specifically, people believe others are spending twice as much on Valentine’s Day as they are. People in relationships expect to spend almost four times as much money (nearly $80) as single people expect to spend (about $20). People in relationships also expect others to spend three times as much (roughly $90) on them than single people expect others to spend on them (about $30). Moral: stay single if you want to save money. The longer people have been single, the less they appreciate Valentine’s Day and the less money they plan to spend or expect to have spent on them. Length in a relationship, however, does not predict how much one likes Valentine’s Day nor how much money one spends. Kids kill romance: people with children are much less romantic despite the fact that they say they like Valentine’s Day more than people who do not have children. This could be because parents enjoy watching their kids celebrate the holiday. What do people say their favorite gifts are for Valentine’s Day? 1) Surprising someone 2) Being surprised and 3) A nice dinner. So if you’re looking for a great gift, surprising your special someone with a home-cooked, fancy dinner may be the ticket. Although celebrating Valentine’s Day as an adult is not as simple as signing your name to a “Frozen”-themed valentine for all your classmates or checking “Yes” or “No” to answer the question, “Do you like me?,” research does suggest that the simplest gifts—like surprising your special someone—are truly the best gifts of all. That’s something we can all love. Read more about the holiday’s cultural implications and historical context.